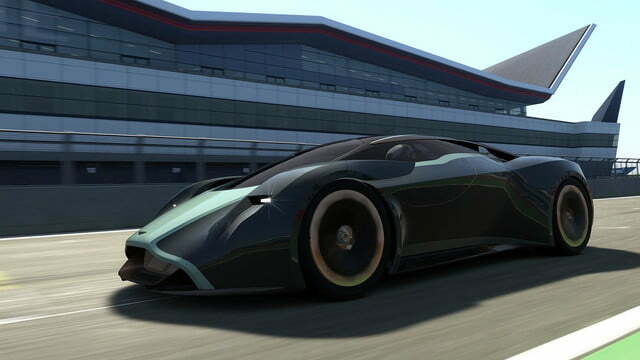 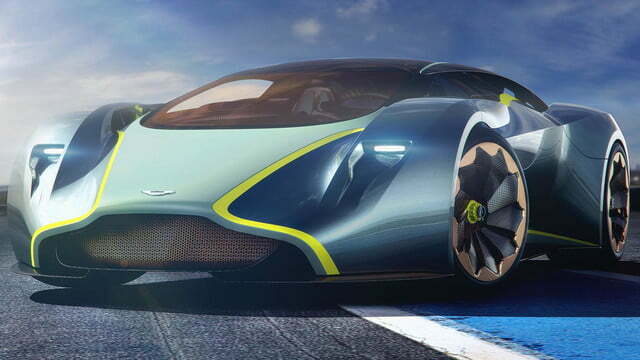 Aston Martin is the latest carmaker to unveil a Vision Gran Turismo concept car for Gran Turismo 6, and it just might be the most radical yet. 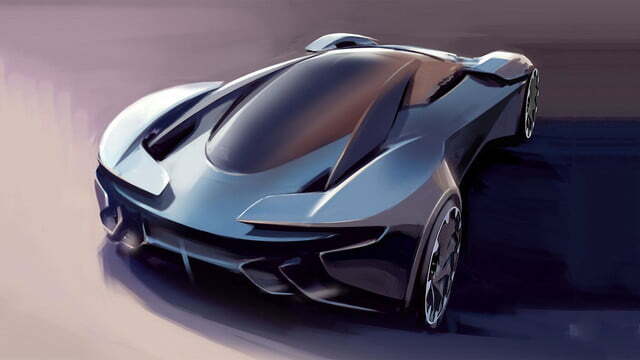 It’s called the DP-100, which stands for Design Prototype 100, it will be unveiled at the 2014 Goodwood Festival of Speed. 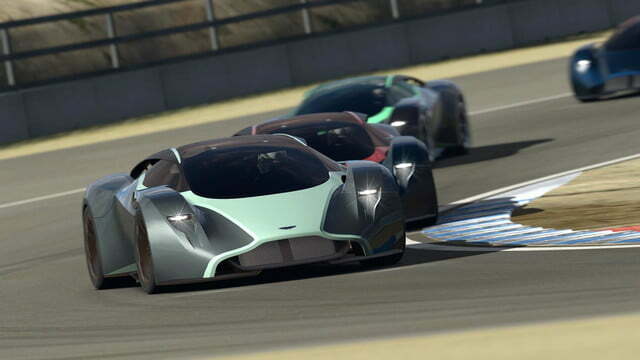 While the other Vision Gran Turismo cars unveiled so far have shown exaggerated versions of their makers’ signature styling themes, this one throws established looks out the window. 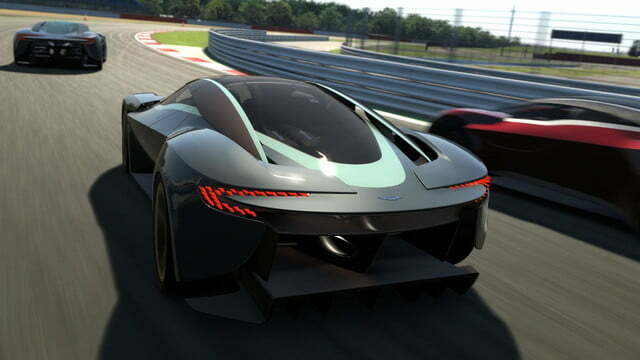 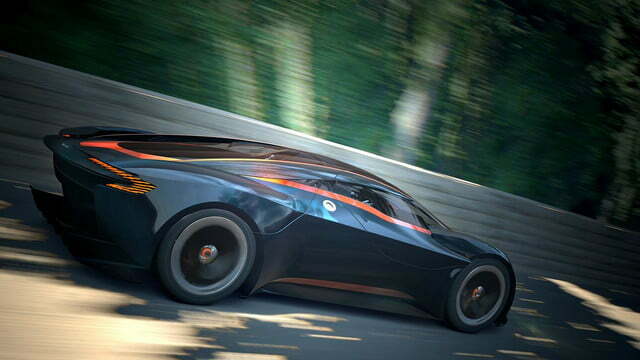 If Aston ever decides to build a mid-engined supercar, it could look something like the DP-100. 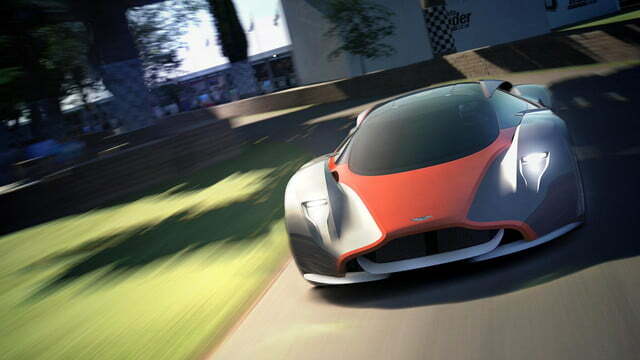 Its sleek, hunkered-down shape is nothing like any Aston on the road now. 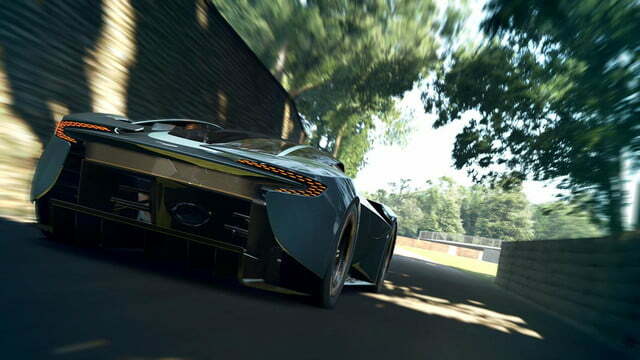 It’s particularly shocking considering how strongly the company typically enforces its current styling theme. 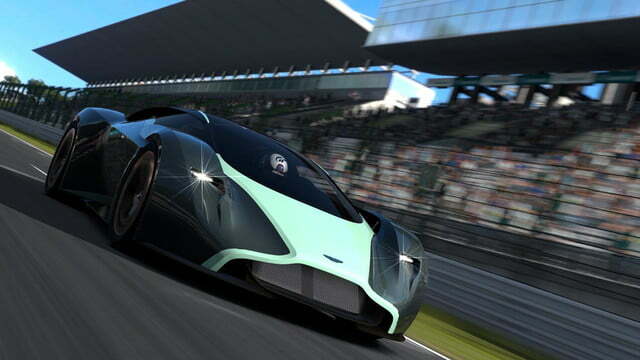 Massive front fenders sweep up around either side of the cockpit, and the engine sits on display under glass behind he driver. 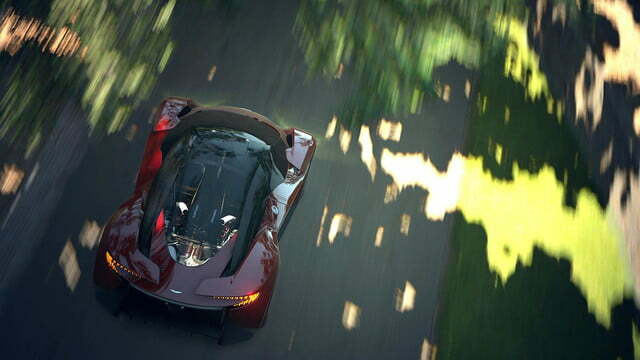 That seems a bit more Maranello than Warwickshire. 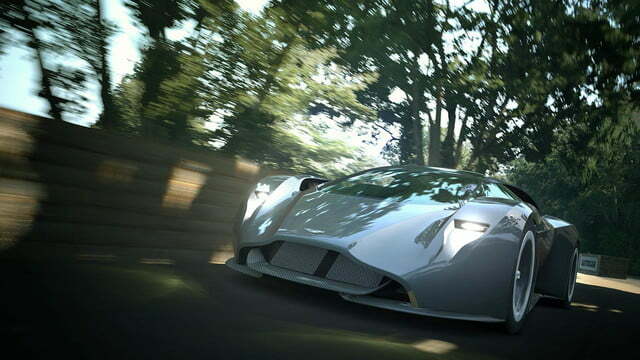 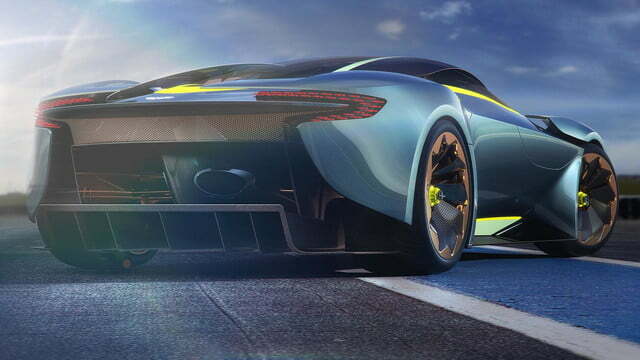 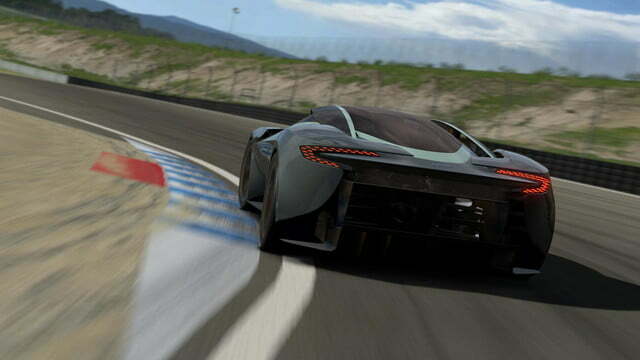 A few details, including the grille and blade-like taillights, confirm that this virtual racer is in fact an Aston Martin and not just a generic expression of speed lust. 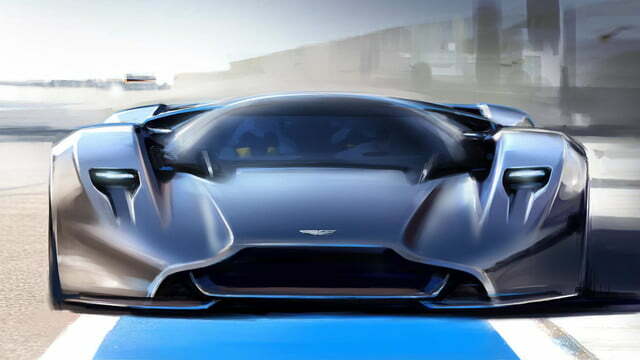 While the car itself wasn’t designed to be production-feasible, certain details may make it into future sports cars, Aston design director Marek Reichman said in a statement. 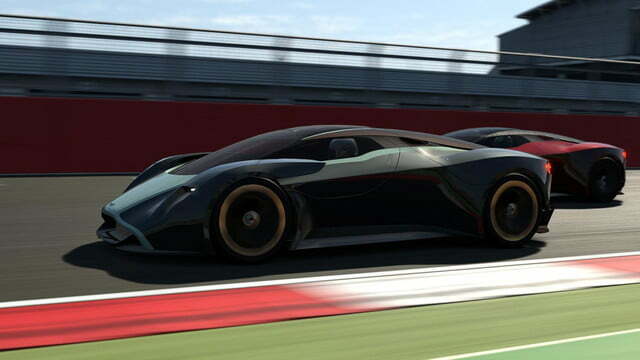 The DP-100 is powered by a twin-turbocharged V12 that produces up to 800 horsepower, and features active aerodynamics to help it stick to the virtual race track. 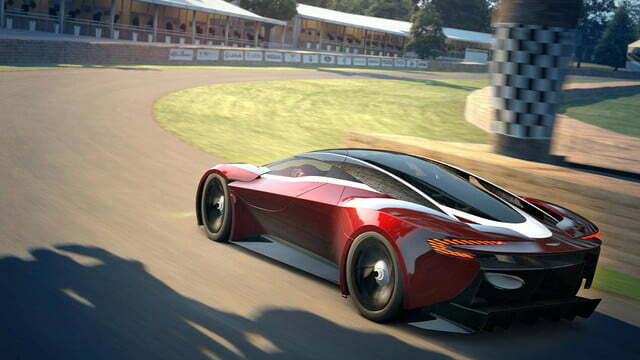 Of course, that’s not something any driver will get to experience for real. 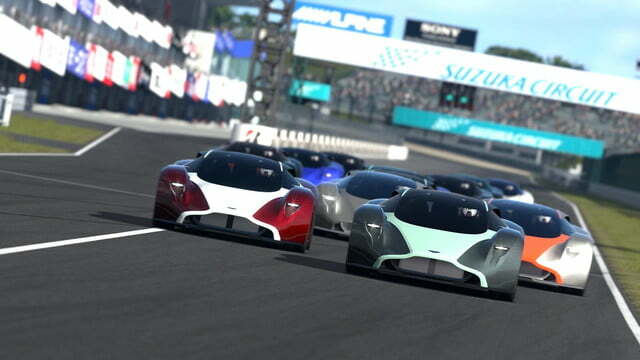 As with the other Vision Gran Turismo concepts from BMW, Mercedes-Benz AMG, Nissan, and Volkswagen, the DP-100 will remain a virtual car, but it will be available as downloadable content in Gran Turismo 6.